The Ria d’Etel has been mentioned several times in this blog …. 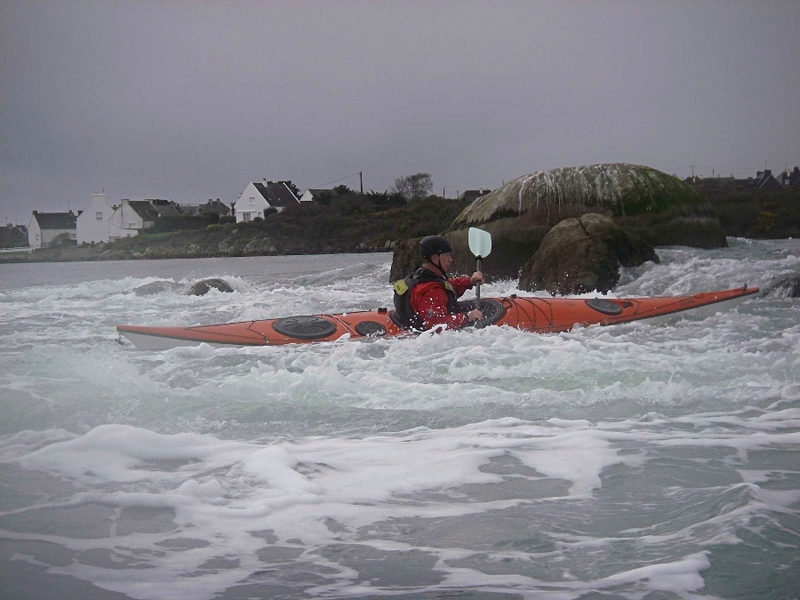 just three weeks ago we paddled from the source to Pont Lorois and back, this week it was a ‘good’ spring tide. 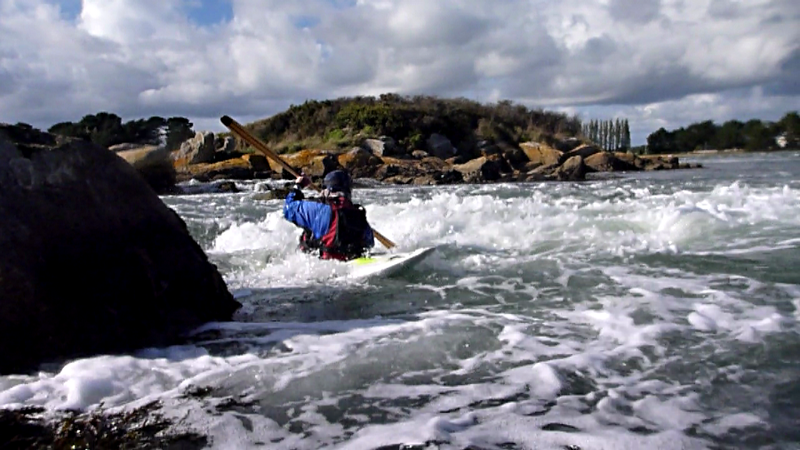 This time we took the playboats to Pont Lorois, these tidal rapids are a great playspot. Whilst a river changes with increases or decreases with volume, they rarely change as quickly as tidal rapids, as food for thought …. in the following photos imagine the current flowing in the opposite direction ? In fact it does on these tidal rapids ! … and rivers do not do that !